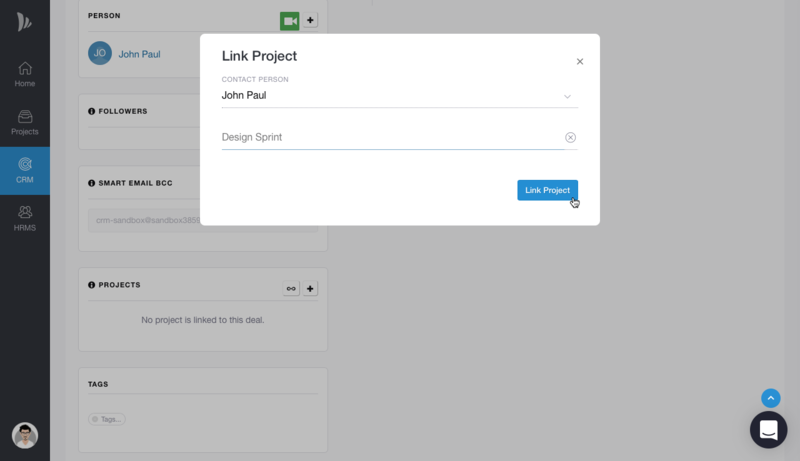 TeamWave lets you add/link projects to deals in CRM reducing your effort of adding things again and again. 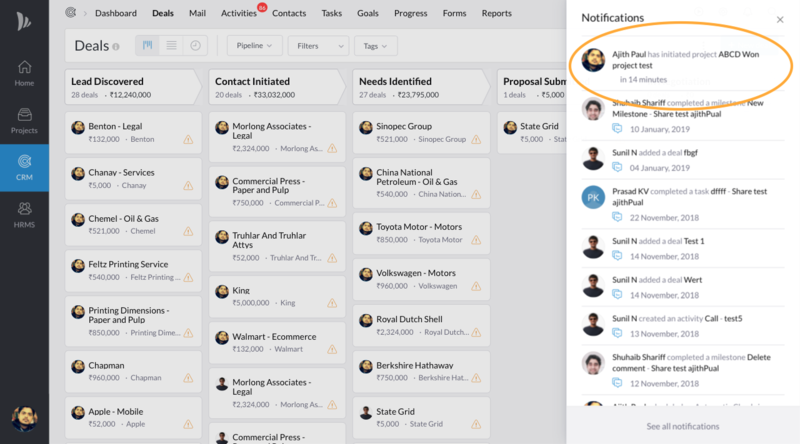 Once a project is linked to a deal, it will sync all the contact and organisation details automatically. You can add multiple projects to a deal, but only one deal can be linked to a project. These things should be linked to a deal for linking a project. A contact from the same organisation with an email id. Then select a project and click on the link. Once linked, that Project will be linked with the Deal and the Organisation. To add a project from deals, you need to initiate a project and choose a project owner. Then the chosen project owner would be able to complete the project creation process by entering the required details. 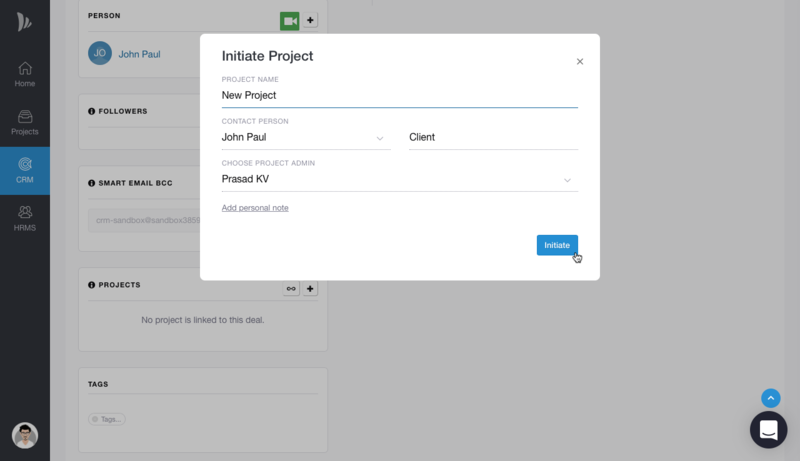 This will only initiate a project and send a notification to the project owner. 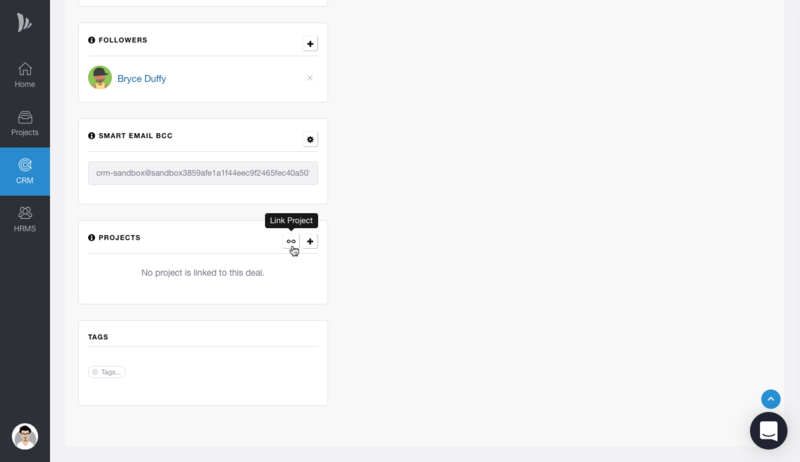 Once any Project is initiated, the assigned project owner can create the project by clicking on the notification/email received and entering remaining details.